Super Slick Surface? Paint it anyway! Or how to make the impossible, possible using Ultra Grip. Have you got a picture frame that would make the perfect chalk board? Go ahead – paint the glass! Do you have slick looking varnish to paint over, or a laminate cupboard? Guess what – you can paint them all with Fusion™ Mineral Paint! If you have a surface that is super smooth and you just don’t think that a light sanding is going to do the trick, glass being the perfect example, then you need this little pot of magic. Applying a smooth coat of Ultra Grip™ will create little tiny, (invisible to the naked eye), peaks and valleys in you smooth surface, so it creates a ‘key’ for the paint to adhere to. We like to think that Ultra Grip™ makes the impossible, possible. When should you use Ultra Grip™? Well, if you are refinishing a laminate kitchen, Ultra Grip™ is you very best friend. No need to go to town on the sanding – although correct prep is ALWAYS advisable – a swift coat of Ultra Grip is what you need. We like to apply Ultra Grip™ with our Microfiber rollers, (available at your local Fusion Merchant), for a super smooth finish with no brush strokes. If you want to achieve a more rustic finish on you piece, apply the Ultra Grip™ with a brush as a thick base layer – this is a great look and fantastic method for moving away from slick to hand finished! If you don’t want brush strokes, a light thin application is the way forward, or use a roller. It’s all down to the look you want in your final finish! One word of warning – Ultra Grip™ is not for the impatient! You must allow 12 hours for this magical stuff to do its work and cure properly before applying your paint. But I promise you it is wort it! Want proof? We asked our friends at Old Red Barn to do a scratch test – yes, they literally tried to scratch the paint off! You can see exactly how Ultra Grip™ performs in the first week of curing. The results are incredible! Read the full blog here by Old Red Barn It is a real eye opener! Ultra Grip™ is not just for kitchens or glass, (on that note did you know you can use any of our Fusion™ Colours to create a Custom Chalkboard? 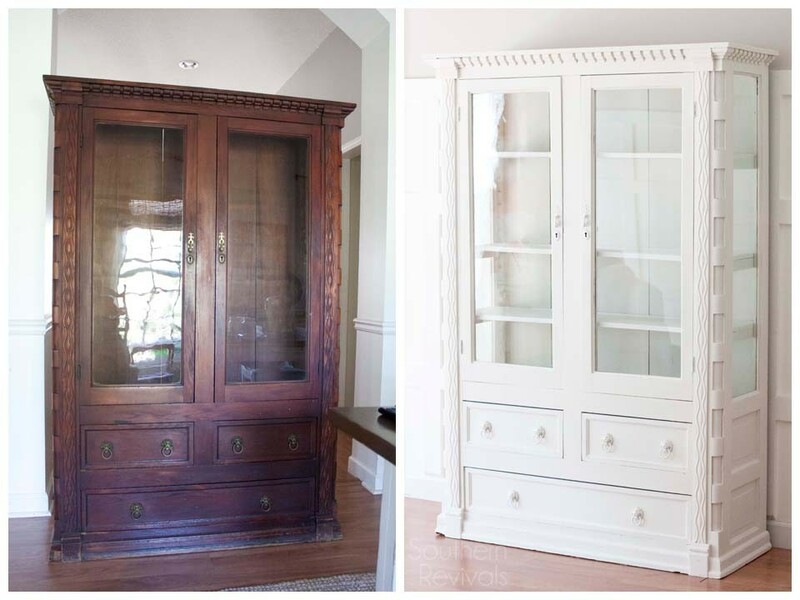 ), just look at this beautiful transformation from Southern Revivals. Simply beautiful and just one more example of the beauty of paint! We strive to make the impossible possible and let your imagination be the only limiting factor in any of your creations. Just because it looks like it should not work with paint, you can be sure we will be working on a way it will! Ultra Grip™ – makes the impossible, possible! Have fun, and paint on!